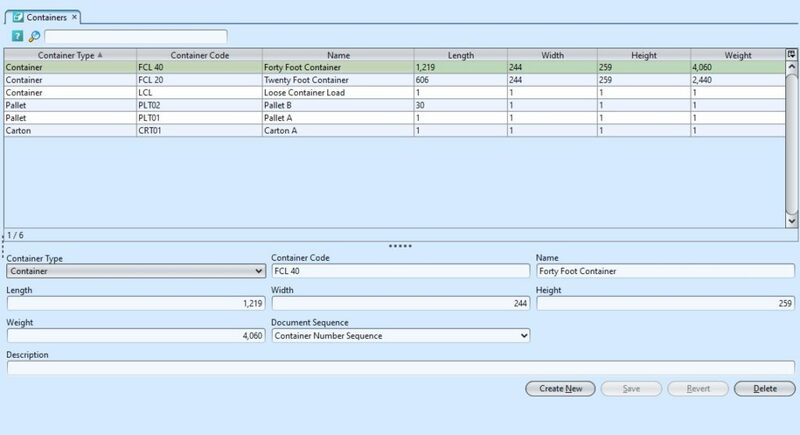 The Containers Master application allows user to create and manage the different shipping Containers sizes, pallets size, cartons size and dimensions. Create new unit, edit and delete containers type. 1. Click on “Create New” button at the bottom right of the screen. 3. Click on “Save” button at the bottom right of the screen. 1. Click on containers type to be updated, it will show the details at the bottom half of the screen for the selected containers. 1. Click on containers type to be deleted, it will show the details at the bottom half of the screen for the selected containers.